Two brand new releases are now available on Amazon, which might get you pretty excited! We start with a new blind bags set: Wave 21. 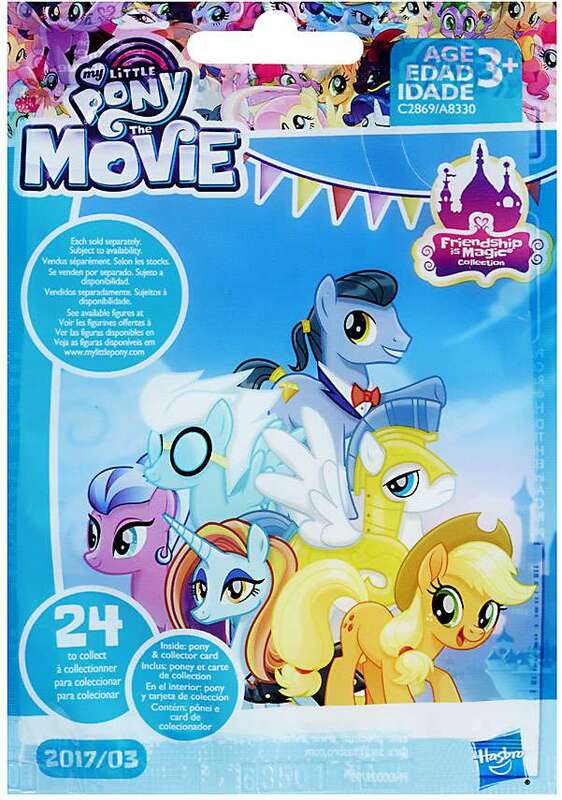 This is the first set with a new bag design for MLP The Movie and contains many new characters, like Moon Dancer and Trenderhoof. 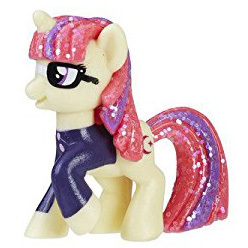 In the Equestria Girls Minis department we see the release of two larger character sets, from the Mall Collection, of Applejack and Rarity featuring various accessories along with the dress up characters. Over on Amazon the first images of wave 21 blind bags have been shared on the listing currently still cryptically called "Kiosk Pony 7 Doll and Accessories". The figures included in this new wave is quiet interesting for various reasons, starting with the first official release of a Moon Dancer figure (ignoring the semi-related Playskool figure). Secondly, the theme: There's a mix of crystal ponies and members of the apple family, two quite opposite themes mixed into one set. 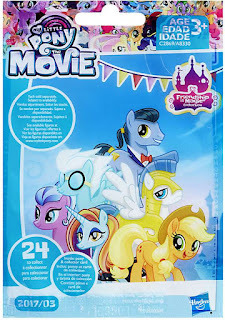 This set could be focused on Applejack and Rarity, of which the latter is not included, or it could be the theme of an upcoming episode or MLP The Movie. But honestly it can also be completely random as a one-off theme for this set. And finally, in this wave a new style of chase figures is introduced with large glitter flakes on their mane and tail, which included Moon Dancer, a Royal Guard, Savvy Saddles, Trenderhoof and Svengallop. Below we have a list of all characters included in this wave, including our current guess for the codes (of course we couldn't confirm them yet). You can also see the full list in our Blind Bag Database. 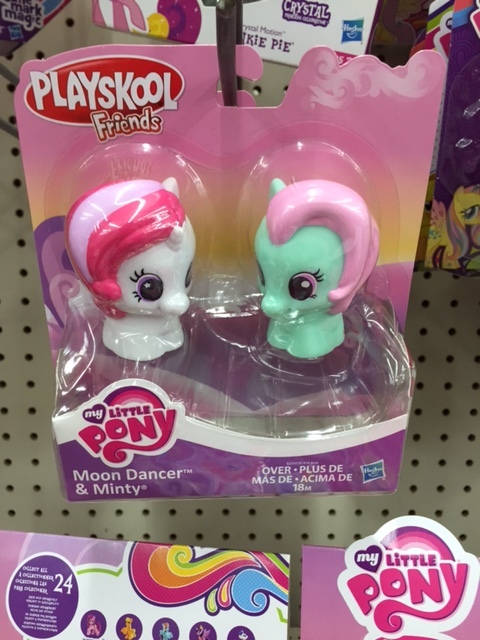 A few days ago we reported that the Playskool Ponies started to appear in several stores like Walmart, but now they have also been listed online. Right now you can order the whole Playskool line from Toys'R'us. (excluding the Rainbow Dash Party Bus) We have listed them all below including images and descriptions. Please note that TRU has made an error by calling Moon Dancer "Rarity." 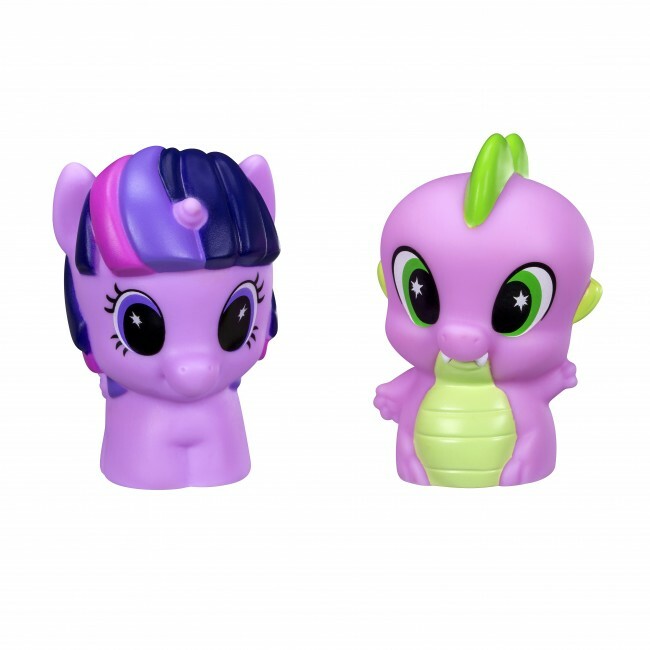 The series of cute little My Little Pony from Playskool, the Playskool Friends figures, have found their way to Walmart shops and are available now! 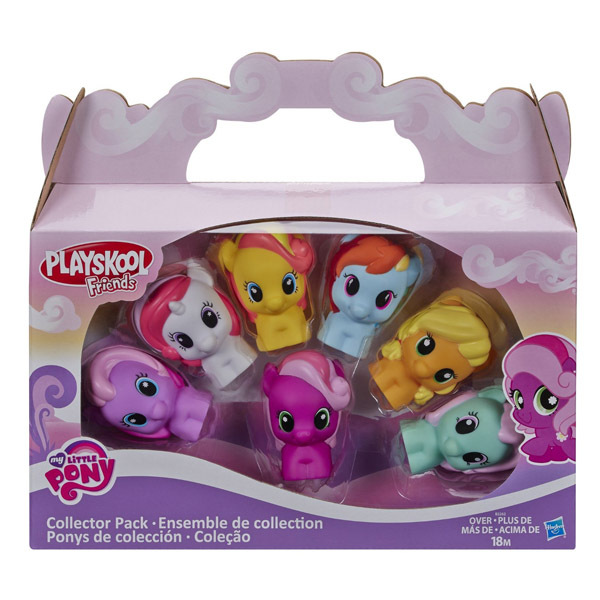 In total there are 3 Story Packs available, each containing 2 ponies: Applejack & Daisy Dreams, Bumblesweet & Rainbow Dash and Minty & Moon Dancer. It seems that these sets are not yet available on the Walmart website, but we hope to see them soon. Thanks to Ponyfan for the images! 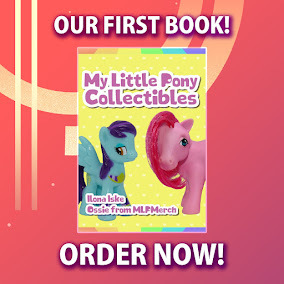 If there's one thing I love it's stock images of upcoming MLP Merchandise. Don't ask me why. Ah well we all know that Playskool will release a MLP Themed Line this fall but it seems like we finally got some images of them in packaging! 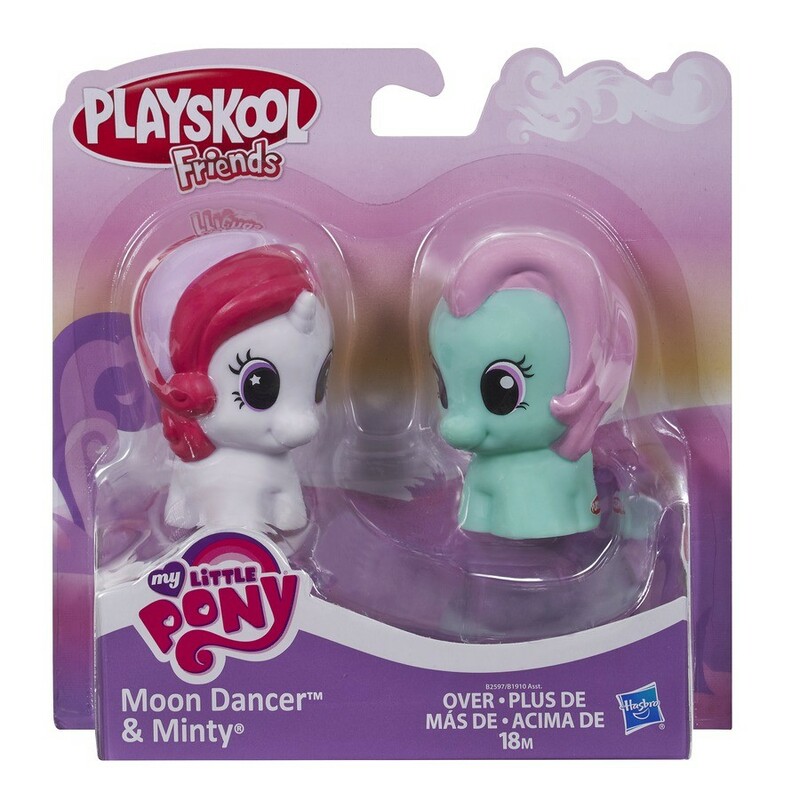 We got the packaging for the Pinkie Pie Ball Popper, but we've also found the packaging for the Playskool Friends 2-pack, but only for Moon Dancer and minty so far. Click here for more MLP Playskool news!